Opening nights are as opening nights are. 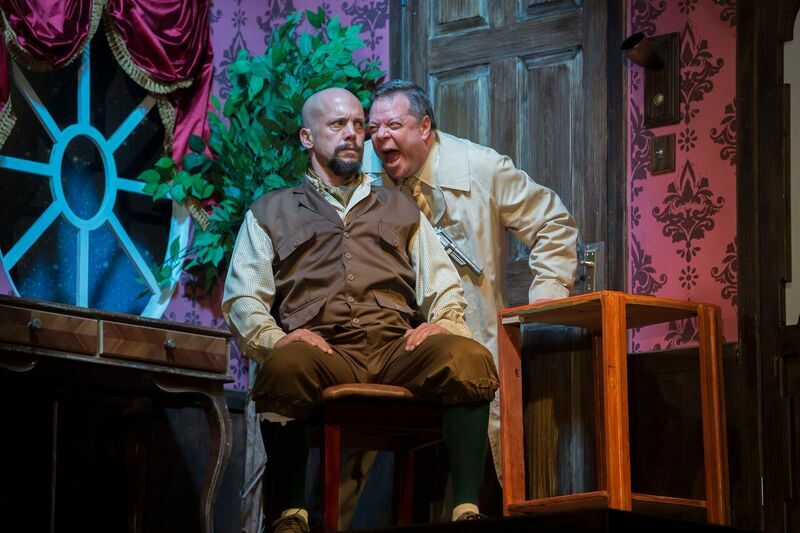 Filled with expectation on the part of the audience and excitement, trepidation and an increase in adrenaline on the part of the players and crew. An increase in adrenaline that needs to find an outlet anywhere it can! Things that went right all through previews could tonight, go horribly wrong. Words remembered could suddenly be forgotten. A set that worked, could almost instantly become a death trap and split second timing become minutes of pregnant pauses! 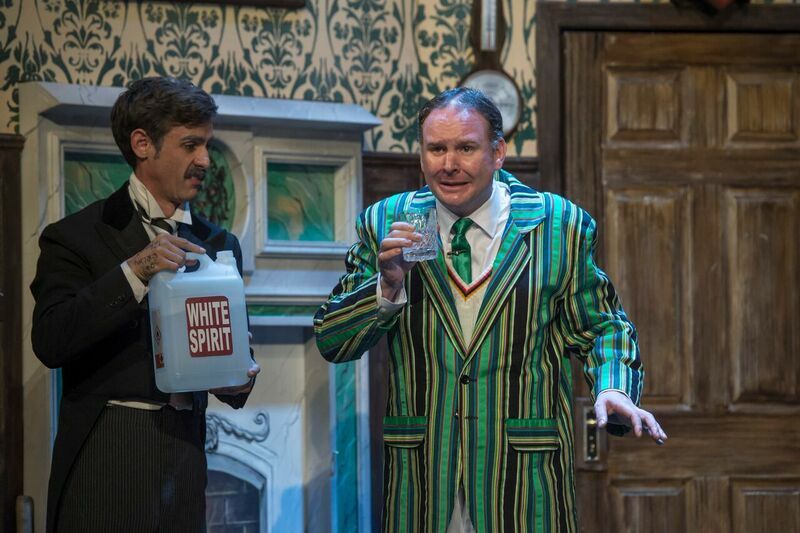 For Murder at Haversham Manor, it’s exactly what happened but for The Play That Goes Wrong it was perfect! Everything that possibly could go wrong, did! In the best possible way of course, and the result was hysterical! But more than that, it was a glorious celebration of the skill and craft of those in the performing arts, who will endure whatever it takes for the show to go on! 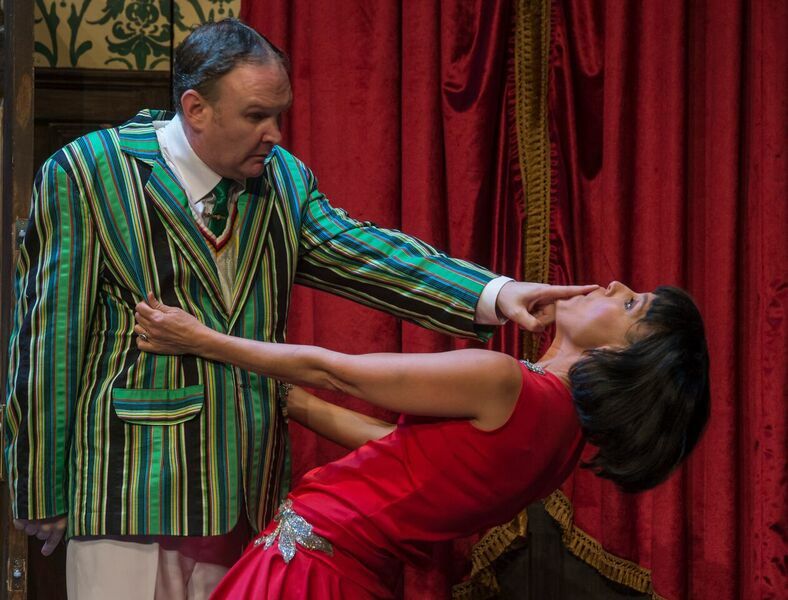 By now an absolute run away success in the West End and the Broadway transfer also having just opened this week to rave reviews as well as an Australian production on the go, The Play That Goes Wrong is the show to see! 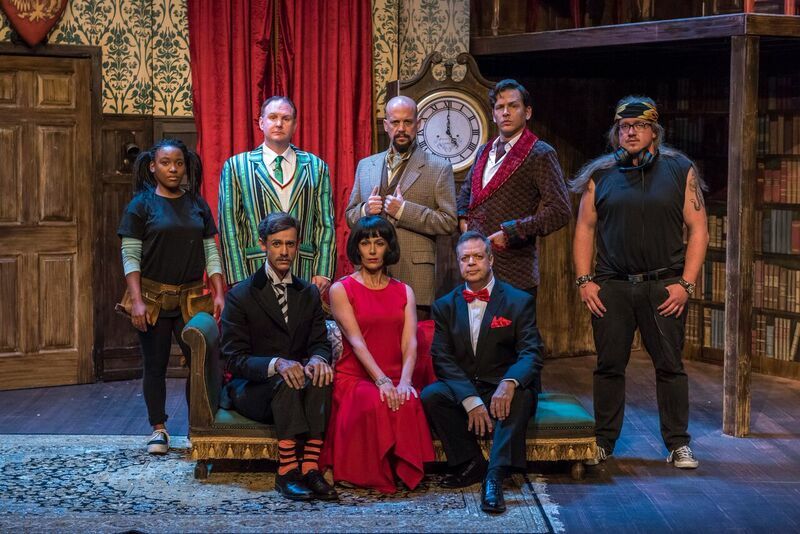 The Northriding Polytechnic are putting on a murder mystery, MURDER AT HAVERSHAM PLACE, sorry….MANOR! It’s perfectly cast, they’re merely students remember, and I think it needs be said, willingness 7-ability 3, but maybe an extra week of rehearsals might have made all the difference! Things are not quite ready for the first performance you see! But being the dedicated, eager thespians they are and maybe a little too much “coaxing” from their director, the show will go on! The set still needs some nails, There’s a missing dog to deal with, oh and a missing Duran Duran CD….and that’s just for starters! Incredibly silly, brilliantly executed and a set that will blow your mind, it’s a not to be missed highlight in this years calendar! It’s sheer lunacy, but give yourself over to it, you’ll be so glad you did! Hamlet! What a piece of work! EVITA announced!